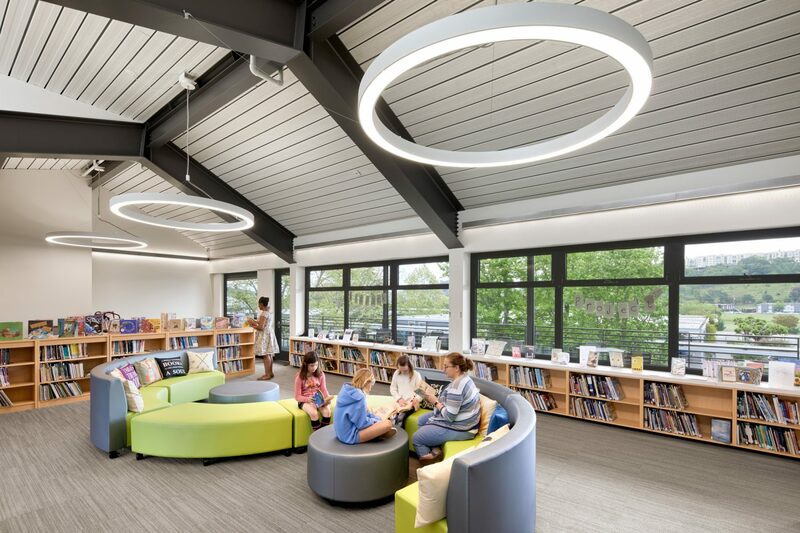 The Learning Commons & Administrative Addition to the K-8 independent Mark Day School campus provides a much-needed grand entry and gateway into the existing campus, which was built in 1960. The new addition completes the campus plan diagram as laid out in the original 1960 design, and acts as a permeable edge to the main entrance of the campus that encloses the central outdoor quad space on campus. 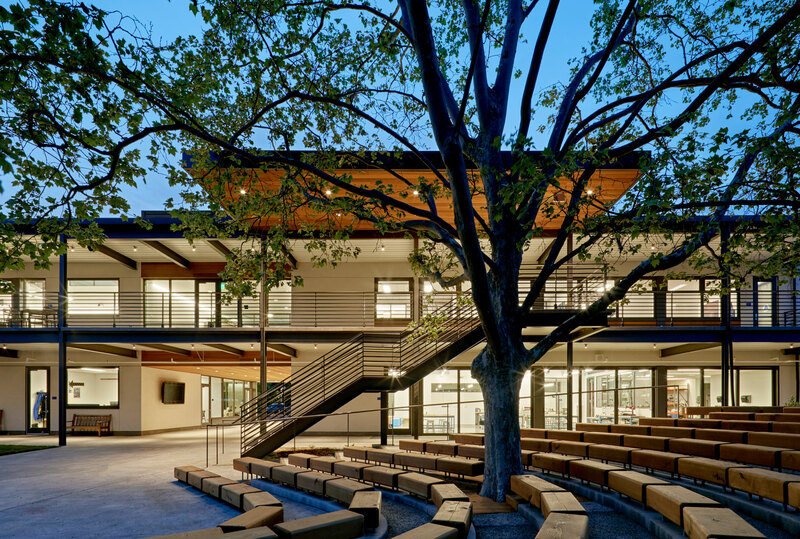 This existing outdoor space is the heart of the campus and the new building activates that heart by serving as the main entry portal for visitors to pass through upon arriving on campus. 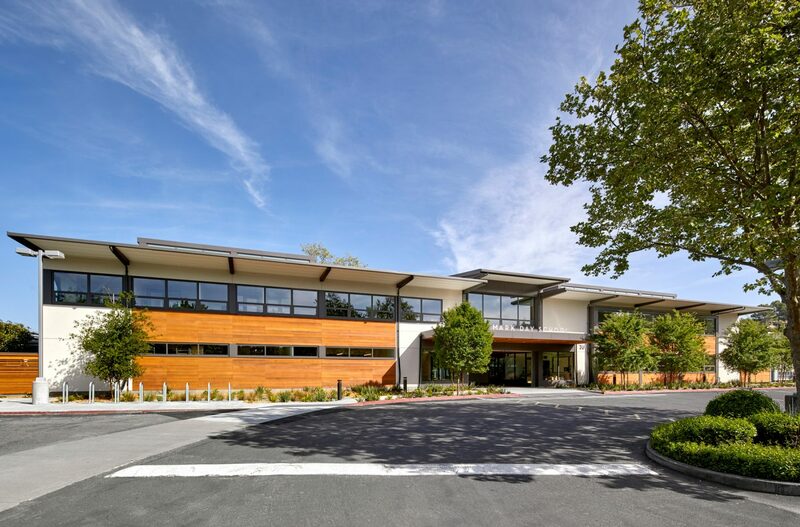 It also provides transparency and openness in its program and configuration that allows student life and programs to spill out into the central quad. 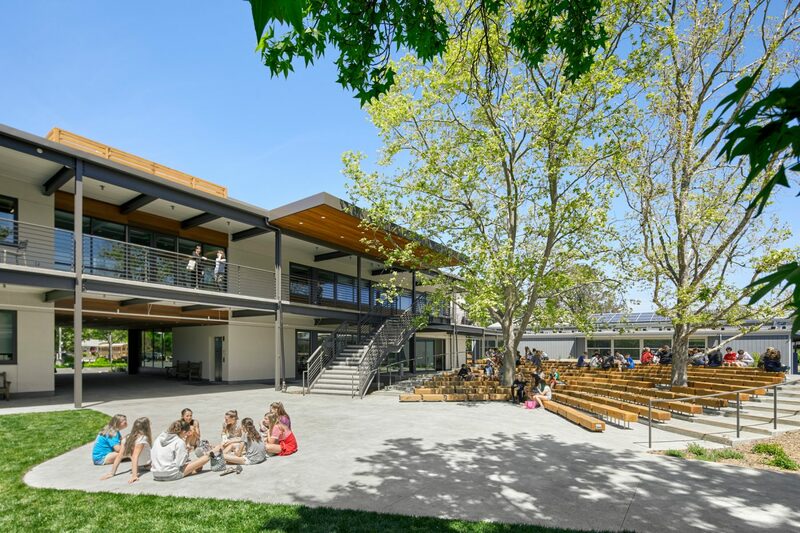 This blurred distinction between indoor and outdoor space–one of the central design concepts of the new building–activates this existing exterior campus, thereby bringing the exciting campus culture back to an outdoor space previously used for formally scheduled events only. 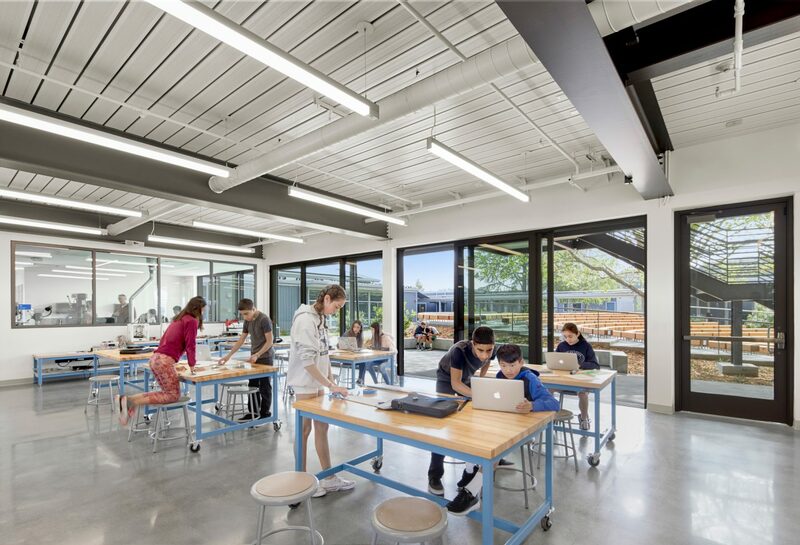 The new design not only allows students to reengage with the quad, but makes apparent to all visitors the exciting student life and projects that are a part of the rich pedagogy of Mark Day School.